Unsecured loans, also called personal loans or signature loans, involve borrowing money without putting up any collateral. Because there is no home or car to repossess if you don’t make your payments, these loans are considerably riskier for lenders. Extra risk means lenders must charge higher interest rates and require higher credit scores. Unsecured personal loans involve much less paperwork than secured loans like mortgages, but more than products like payday advances. The terms are generally shorter, from two to five years, and loan amounts are usually smaller. Unsecured loans can be used for almost anything — like debt consolidation, college tuition, medical bills, a business loan or the trip of a lifetime. It’s not easy to get approved for an unsecured loan with bad credit, and the rates for these loans are quite high. However, some lenders might offer you a better deal if you have a co-signer. An unsecured loan is issued based on the borrower’s creditworthiness, instead of some type of collateral. An unsecured loan can be obtained without the use of property as collateral for processing the loan. Borrowers generally must have high credit ratings to be approved for an unsecured loan. 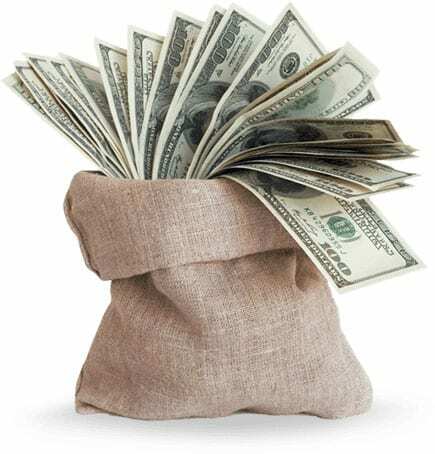 For those who need money quickly, it can be much faster to apply for an unsecured loan than to sell assets to get the needed cash — and borrowers can always sell their assets later and use the proceeds to pay off the loan. If the choices are withdrawing from a retirement account (racking up taxes and penalties) or applying for an unsecured loan, the loan is likely to be the cheaper alternative. Unlike credit cards, fixed-rate loans come with interest rates that don’t change, and there is no “default rate” for being late with a payment. 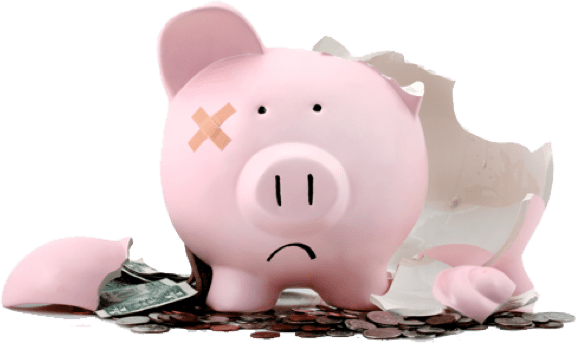 If the consumer experiences a financial disaster at a later date, the unsecured loan can be discharged in a Chapter 7 bankruptcy, unlike secured loans or government-backed student loans. Unsecured loans can also be used after bankruptcy to help rebuild your credit. Because the loan is not backed by anything other than the borrower’s promise to repay, an applicant’s credit history and scores are very important. Applicants for unsecured loans must complete an application, authorize a credit check, and provide documentation showing that they have sufficient income to repay the new loan — usually pay stubs and W-2 forms, or tax returns for the self-employed. Underwriting is completed by automated systems and human underwriters, and the applicant is notified in writing of the decision to approve or decline the loan. In many cases, consumers can apply online and have the money transferred directly into their bank accounts without leaving their homes. Unsecured personal loans can be obtained from banks, credit unions, finance companies, P2P lenders and others. Interest rates for these loans vary widely, so it makes sense to get quotes from several competing lenders before making any commitments. When shopping for the best unsecured personal loan, consumers should compare the interest rate, fees and APR. They should look for prepayment penalties and automatic rollovers and double check the loan’s term and payment before signing. One requirement of most lenders is good credit — applicants with a history of missed payments, collections and charge-offs aren’t the most promising candidates for unsecured financing. 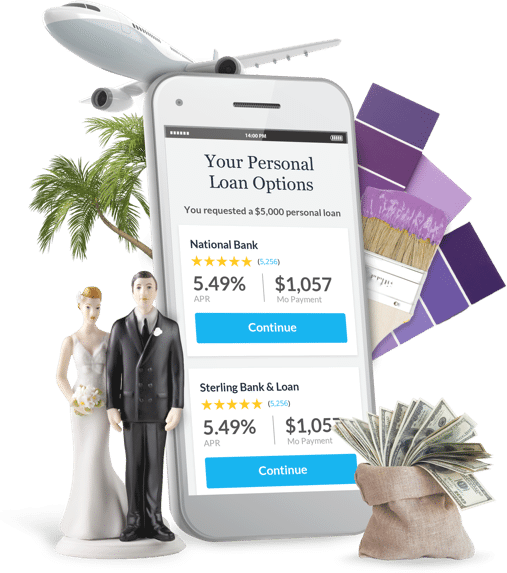 There are reputable providers of personal unsecured loans online for people with credit scores under 600, and other lenders are sometimes willing to fund loans to sub-prime applicants if they have a cosigner. However, the Internet is also full of shady firms ready to exploit desperate people. Those seeking an loan should watch out for lenders advertising personal loans for bad credit or unsecured loans with no credit check — these are not really personal loans. They are really payday loans, check advance loans or title loans — with very short terms and very high interest rates. Terms typically range from two to five years. The borrower receives a lump sum and repays the loan with equal monthly installments. Unsecured loan interest rates are usually fixed. However, there are also revolving lines of credit, which function like credit cards. Borrowers set them up and draw on them as needed, paying interest only on the amounts used. The monthly payment is based on the loan balance and interest rate, which is variable. Interest rates on unsecured loans (the legitimate kind) vary according to the lender’s policies and the credit ratings of the borrowers. In 2014, rates for loans range from 6-7 percent at the low end to about 40 percent at the high end.